How can we live a fulfilling life with a condition as debilitating as fibromyalgia? That’s the question we’ll be discussing in this video and series. Welcome to Fibro Pulse! I’m Linda. So a lot of the information about fibromyalgia available on the internet focuses on the medical aspects of it the nature of the pain and ways to minimize it. However, the experience of having fibromyalgia is much more than the sum of its symptoms. 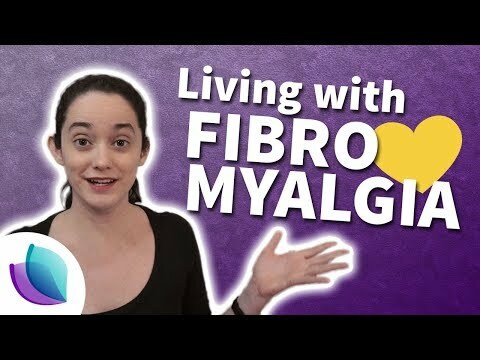 This video is an introduction to a category of videos we’re calling “Living with Fibromyalgia”. It’s aimed at creating a discussion around ways to thrive in life despite the chronic pain. I don’t have all the answers. That’s why it’s important for us to create a space where we can all share what we’re having trouble with as well as what’s worked for us so together we can get the most out of life. The idea here is to take a grounded approach. We want this to be about practical and effective solutions so we can really make an impact in each other’s lives. Here are some ideas of what we’re going to cover in this category. Everything in your life is filtered through the fact that you have fibromyalgia. Every decision you make, every responsibility you have, is colored by fibro each and every day. If you have fibro, you can’t help but see the world through a fibro-filtered lens, constantly assessing whether or not you’ll have enough energy or feel strong enough to follow through on an action. The difficulty of living day-to-day can be shocking to those newly diagnosed. It’s overwhelming dealing with all these limitations you never had to deal with previously and adjusting to a new baseline for living. But the good news is many people with fibromyalgia are living full and active lives. In fact, this condition forces you to focus on what is important to you and to be efficient about it. [pause] We live in a world designed for able-bodied people. As a society we make accomodations for visibly handicapped people. But those of us struggling with an invisible illness fall through the cracks. We’re not seemingly disabled enough to warrant help, but we’re also not well enough to keep up with everyone else. Even those closest to us, like our spouses or partners, sometimes fall short when it comes to understanding what we’re going through. There may even be certain moments when they forget that we’re silently struggling at all. That’s why a huge part of facing the world is navigating relationships. This includes parents, siblings, extended family, friends, coworkers, and more. For example, how do you communicate with your family how you’ve changed from the person they knew before? How do you maintain friendships when you can’t commit to plans and they start to think that you’re a flake or uninterested? At what point when you’re dating someone do you bring your fibro up? A big part of facing the world is your professional life. How is your boss going to respond if you have trouble getting to work on time or need to take days off? Is the life trajectory you imagined for yourself compatible with chronic pain? What are some alternative options to a traditional work situation as an employee? It’s not uncommon to feel immense frustration at not being able to do the things you want to do, or even the things that you used to do effortlessly before fibromyalgia. That’s why facing yourself may be the most challenging part of all. You feel betrayed by your own mind and body. The essence of who you are is the same, but you’re stuck in a mind and body that have turned against you. You can’t trust that your body will keep up with the plans you’ve made. This doubt in your ability to follow through on things makes you hesitant to commit to anything. A large part of living with fibromyalgia is dealing with feelings of grief for the life you don’t have, guilt for the things you can’t do, and a lack of confidence in your ability to follow through on important things. This condition is so mentally and emotionally taxing that it can lead you to spiral out of control. This is where it gets real, people. Leading a fulfilling life with fibromyalgia is about more than just managing symptoms and pressure points in back. You have to learn to face the world and yourself in new and healthy ways, or fibromyalgia will get the better of you. So what part of living with fibromyalgia is most difficult for you and why? What have you found helps you get the most out of life despite the pain? And what topics in this area would you like me to cover in future videos? Please leave your answers in the comments section below. Thanks for watching! Remember to subscribe, like & share Follow us on social media And then come join the community at fibropulse.com.